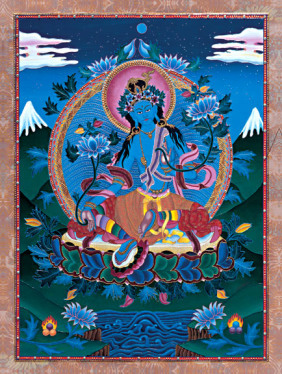 Blue Tara, known as Ekajati in Tibetan mythology, is one of the 21 Taras, and one of the most fierce and powerful Goddesses. 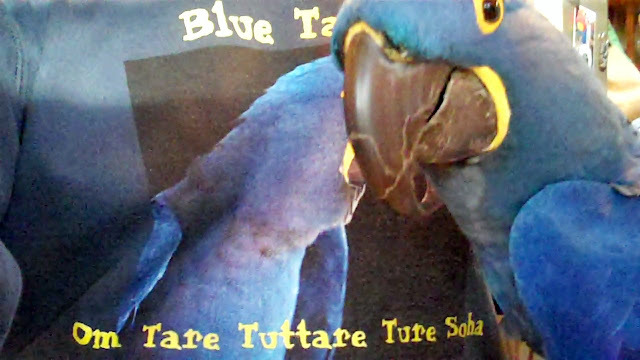 According to Tibetan legend, Blue Tara is a manifestation of the Bon Goddess of Heaven, whose right eye was pierced by the tantric master Guru Padmasambhava, so that She could much more efficaciously help him subjugate Tibetan demons. She is known as the mother of the mothers of all the Buddhas.